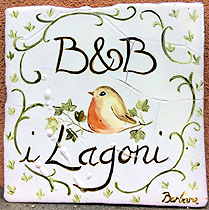 "I Lagoni" B&B is a small country house surrounded by nature, a few minutes away from Arona town centre in the Lagoni Nature Park in Mercurago, for guests who love nature and peace. Located in a pleasant and secluded spot, our cosy double room with a queen size bed is tastefully furnished and is part of an independent annex to our house. It directly overlooks the peaceful garden where you can relax. 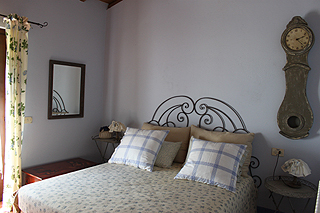 Our Bed and Breakfast features one double room with queen size bed. Another bed can be added. The room comes with air conditioning, heating, desk and satellite TV. The private bathroom has a shower cubicle, hairdryer, towels, toiletries (soap, shower gel and shampoo produced by a local farm using milk of donkey and cashmere goat). In good weather the breakfast is served on the porch, otherwise in the kitchen of the annex. Cars are not allowed in the park around us, since it's a protected natural area (UNESCO heritage site). 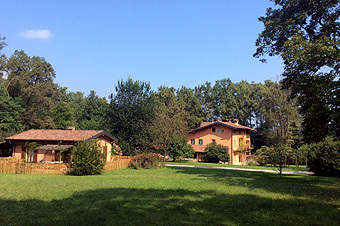 There are pastures for the breeding of thoroughbred horses and many woods. In the surrounding area, there are endless opportunities: towns on the lake, botanical gardens, sports facilities ... or you can just relax! You can be sure of a pleasant and comfortable stay.